Pam has had three-decade-long relationship with the Baby Lock brand, filling various roles in the company, from Education Consultant to Regional Sales Manager to Education Manager and to her current role as National Ambassador of Education. 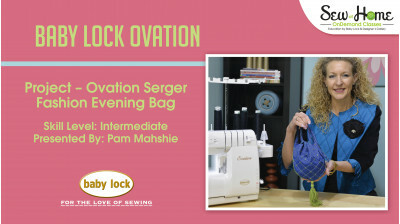 A regular presence on Baby Lock’s website and YouTube, Pam has also appeared on PBS with sewing “sewlebrities” Nancy Zieman, Martha Pullen, and Marianne and Mary Fons. 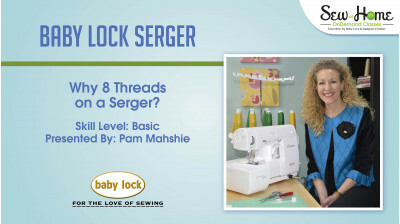 Her monthly editorial, Pam’s Travels, can be found on www.babylock.com, where she shares her experiences at various sewing industry events, as well as her expert sewing tips. Why 8 Threads on a Serger?